Sill on a "recreating the college maps in something perhaps more up to date". Although I actually do like the plethora of hand-made maps I made back then. I may have posted this one before - this is one section of the world and mostly human lands. Apparently lands may have had species-specific primary residents. The next map is a close-up of a section, and my plans for the 1st The Fantasy Trip game I get going. 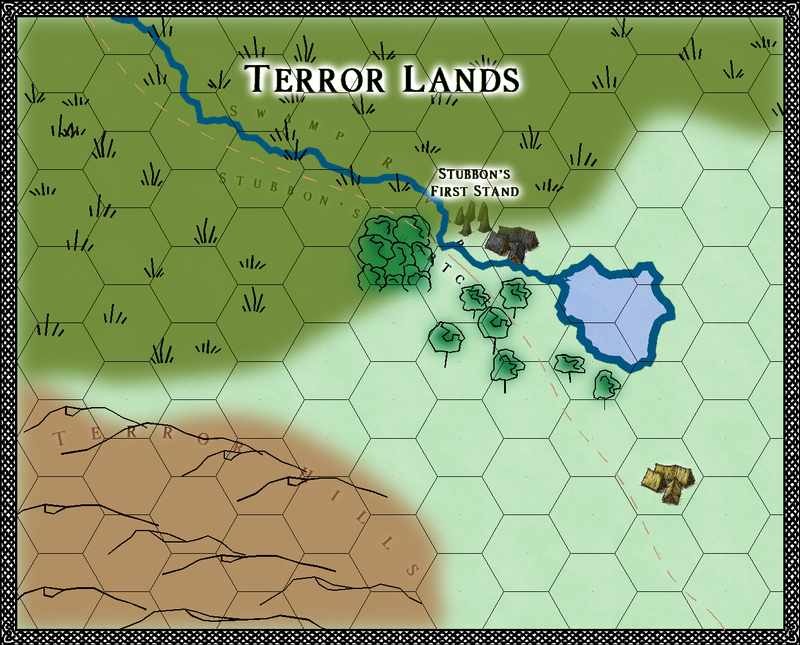 I've got a cool KS "drop in" sort of map/adventure that is in a creepy, swampy area. It fits in well with this area: Stubboon was a trader almost a century ago, and tried to have a shortcut between the far northern lands and End City at the coast. Apparently taking a shortcut through the Terror Lands did not sink in as possibly a bad idea. He did make it through but there where three standing battles, and he never made it all the way to Edge City. Stories abound about the treasure trove of magical and mundane items left at the various battle sites as Stubboon and his rapidly dwindling caravan raced towards the civilized and urbane Edge City.